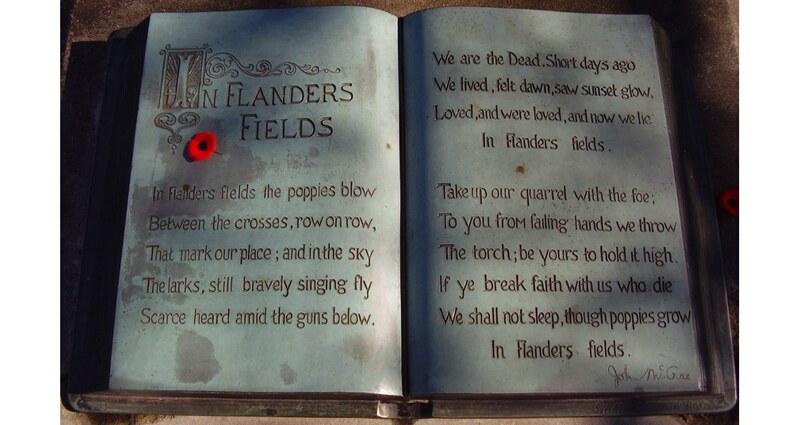 2014 marks the centenary of the beginning of World War One. 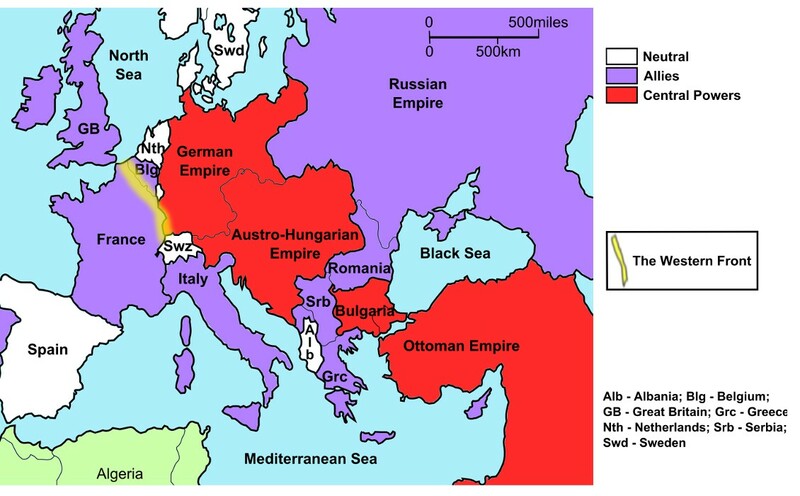 The Great War, as it was generally referred to in Europe, heralded a major shift in political power across the Western World, Asia and Africa. It also witnessed the emergence of the modern oil and gas industry. The ‘war to end all wars’, as author H. G. Wells famously described it at the time, began in Western Europe late in the summer of 1914, following the assassination in Sarajevo of Archduke Franz Ferdinand of Austria, heir to the Austro-Hungarian throne. The fighting went on to include most of the major economies of the world until peace, in Europe at least, came with the signing of the ‘Armistice of Compiègne’ in November 1918. By then the establishment of new forms of fighting, made possible by mechanised weapons, resulted in many of the processes and institutions that are still recognisable in the modern oil and gas industry. Armies on all sides of this new conflict rapidly discovered the importance of scientific know-how, and geologists and mining experts were attached to general staffs and ad-hoc military organisations. The tasks they were allocated were extensive. From the outset all sides needed access to essential natural resources, not least potable water, and there was an increased need to locate oil, metals and other strategic minerals for the war effort – and as military targets on the opposing side. Geological map-making was part of tactical terrain intelligence, while seismography was used to detect anti-tunnelling, subterranean caches of poison gas. Other tasks included analysing the strength of fortifications and facilities, examining local sand and rock for concrete, and studying the landscape for the mobility of vehicles. 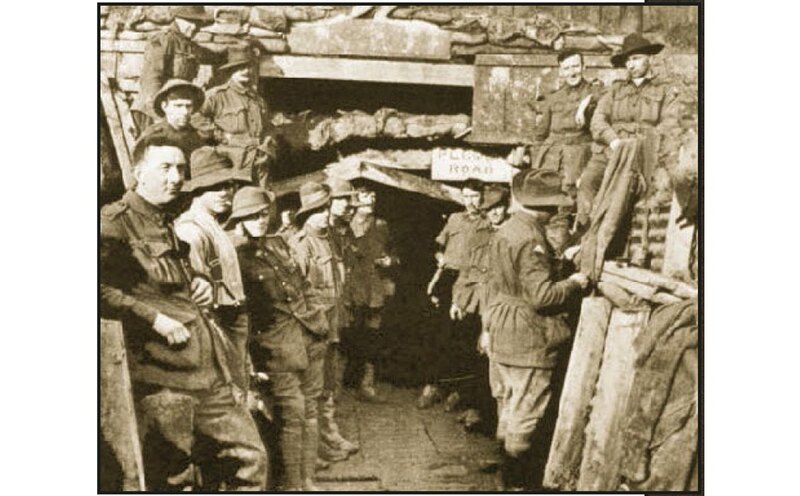 Fourteen geologists of the Geological Survey of Great Britain were seconded to the military to undertake this type of war service, many being despatched to the front. Geologists were not passive in this process. R. A. F. Penrose Jr., President of the GSA in the United States, for example, wrote What a Geologist can do in War, a briefing document for commanding officers in the American military about the many ways geologists could be used on the front line. Video reproduced by kind permission of Joshua Olsen (see Acknowledgments for more detail). The war in Europe began as a battle between gentlemen officers, supported by a professional infantry and cavalry, but quickly became a war of attrition as both sides dug in and the largely volunteer and conscripted armies began the slow process of trying to nullify each other. To do this they built a network of trenches, separated by a neutral zone (‘No Man’s Land’), running in a line from southern Belgium south-eastwards into eastern France – and by mobilising millions of men and women into the war effort. 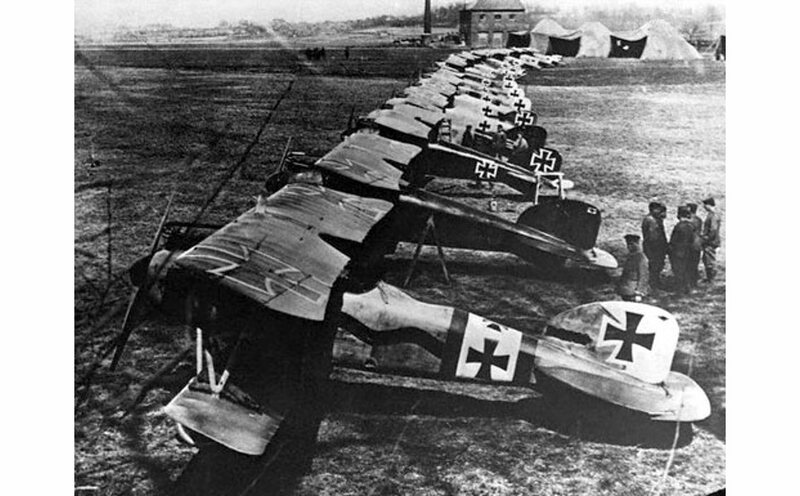 The ‘Western Front’, as it became known, produced a new form of warfare, with the opposing armies of the Allies (UK, France, Russia, Belgium, Canada and later Italy, USA and Japan) facing their enemies of the Central Powers (the German, Austro-Hungarian and Ottoman Empires) in close proximity. A bloody stalemate ensued. Trench warfare on the Western Front brought a series of engineering problems that could best be solved by an understanding of geological principles, and the scale of the theatre of war meant that both sides were to encounter a variable geology. 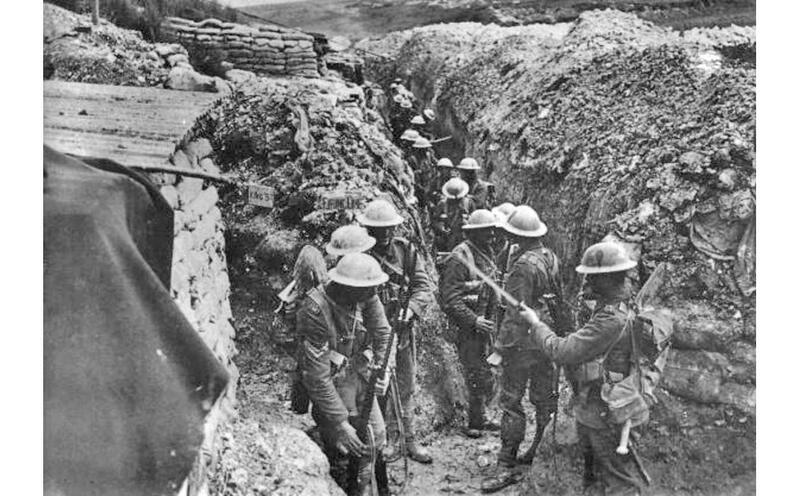 As the stalemate progressed the trench networks became more and more sophisticated, in both design and use, evolving for specific purposes: communications trenches to facilitate the movement of men and ordnance, and the dreaded front-line trenches, where snipers and shelling were a constant threat. The geologists and engineers employed in their construction had to deal with a landscape that changed rapidly, as boggy uplands rolled into dry, chalk valleys. As the killing continued, the pleasant pastures of central Europe were flattened by an endless bombardment, turning fertile soils into a quagmire of mud and blood. Terrain surveys established which of the shallow lakes had hard bottoms, and were thus passable, and which were soft and boggy provided the Gernany army with an advantage over the Russian Second Army at Battle of the Mazurian Lakes. Like the other combatants, Germany had no specialist geological corps before hostilities began, but by the end of the war, over 100 geologists were serving in advanced positions on the Western Front. Possibly one of Germany’s greatest victories early in the war, the Battle of the Mazurian Lakes, has been partly attributed to earlier terrain surveys that established which of the shallow lakes had hard bottoms, and were thus passable, and which were soft and boggy. The Russian Second Army were routed in the mud and the Germans manoeuvred around them on firmer ground. While the armies on the Somme floundered in the muddy wastelands and millions died from violence and disease on the Russian Front, further south in the Alps, in the picturesque and remote mountains and valleys where the armies of Italy faced the forces of Austro-Hungary, a new engineering challenge was encountered. 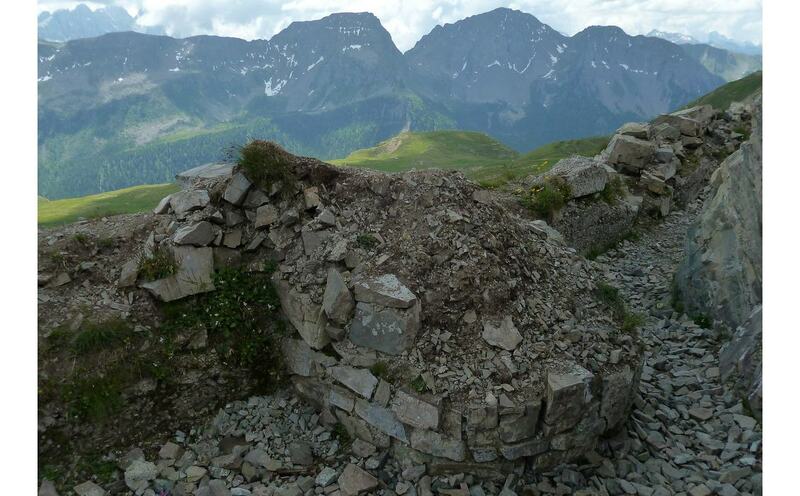 Italy had entered the War on the side of the Allies in 1915 and the Central Powers decided it would be prudent to secure the most important mountain routes, including the 2,100m high Falzarego Pass, overlooked by the near vertical cliffs of Mount Lagazuoi (2,700m). It was almost impossible to attack an enemy sheltered in the steep cliffs, so trench warfare was adopted, along with tunnelling. Large quantities of explosives were detonated in strategic locations to form a breach in enemy lines. In the Alps the Austro-Hungarian army had instituted a special unit of war geologists – the Kriegsgeologen. The Italian army are also reported to have employed many professional geologists at the time. Both sides knew it was possible, by undermining the position of your enemy or by causing a rock fall, to use geology as a tactical weapon. 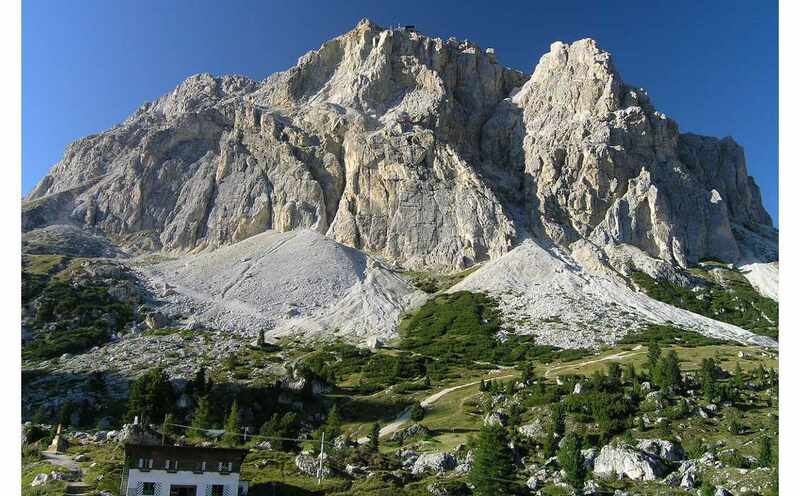 In the Dolomites more than 30 explosive operations were attempted by both armies. In 1915, to reach the Italian position in the middle of the southern cliff of Mount Lagazuoi, the Austrians started to construct a tunnel on the northern slope of the mountain. 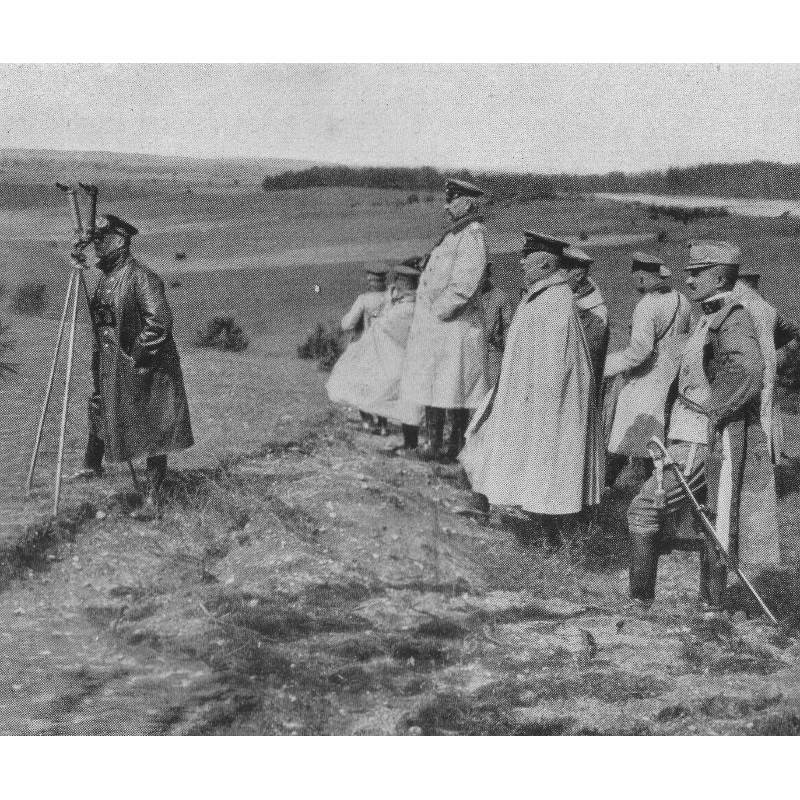 Adopting a similar strategy, the Italian soldiers tried to undermine the Austrian positions. Mt. Lagazuoi is composed of the Triassic Cassian Dolomite Formation, a marine reef complex, and although fractured and deformed by tectonics the rock was much harder to excavate than anyone had expected, with tunnelling rarely progressing at speeds greater than 10m a day. 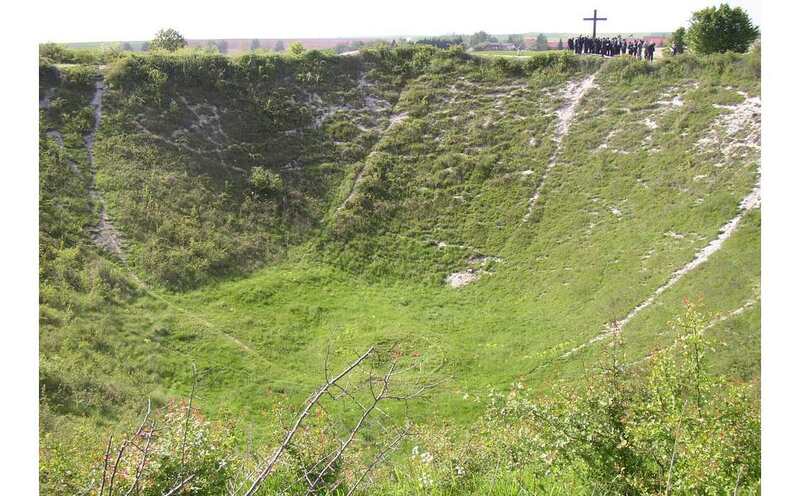 In January 1917 the miners of Austro-Hungary detonated 16,000 kg of explosives, forming a 45m deep crater on the top of Mt. Lagazuoi. In June 1917 another explosion below the mountain top formed a debris cone still recognisable at the base of the cliff toda. Operations like those in the Italian Dolomites were one thing, but the use of tunnels and explosives was to reach new heights on the Western Front, where successful military mining beneath enemy earthworks and fortifications required an understanding of subsurface geology, including hydrogeology. Today the Flanders landscape is scarred by the tell-tale pockmarks that demarcate the location of some of the larger explosions. Many remain as gardens of remembrance for the soldiers whose remains still lie somewhere buried in the now verdant landscape. A chilling example of the abilities of the miners can be found in the tale of the Butte de Vauquois, a large chalk hill where once the small village of Vauquois stood atop. In September 1914 the invading German Army captured it and began to shell French supply routes to Verdun. The French Army attacked several times but lacked the strategic advantage of topographic height and suffered enormous casualties. The hilltop, with its ruined village, became a no-man’s land. 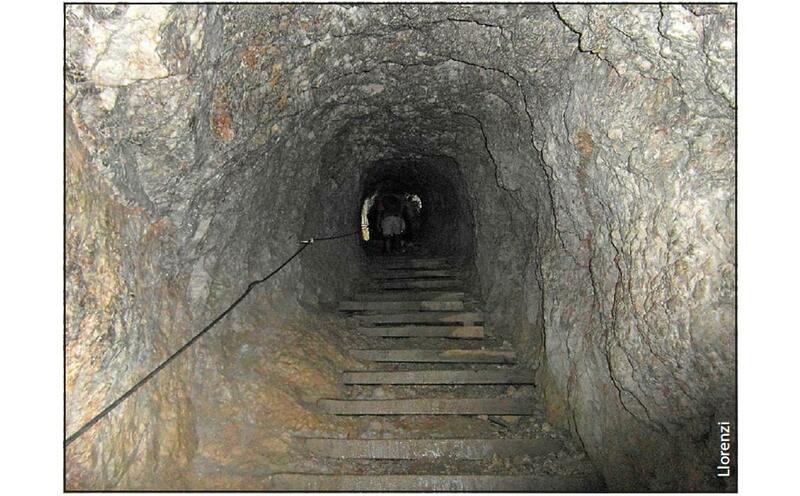 The French then began building tunnels through the bedrock towards German lines. Soldiers from coal-mining areas dug the excavations that were then filled with explosives and ignited, creating massive craters on the surface. 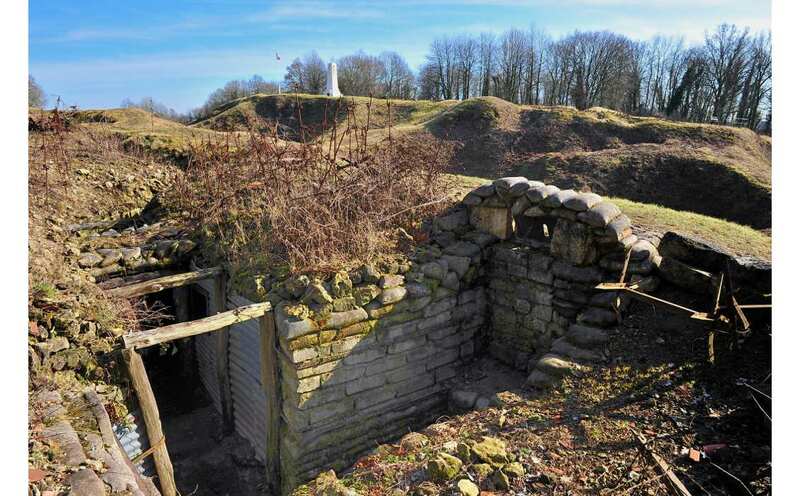 The Germans responded with their own tunnels and explosions under the French lines. Eventually almost 40 km of tunnels riddled the Butte de Vauquois. More than 500 French and German mines had been exploded here by September 1918, splitting the hill in two with a row of craters. Thousands of soldiers on both sides were killed, with 8,000 completely missing, presumably buried in collapsed tunnels and trenches. 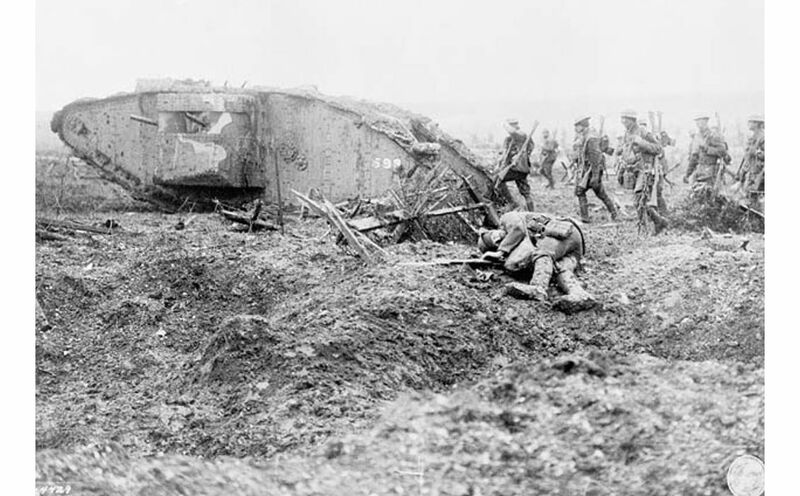 One of the largest military mining operations in history was at Messines Ridge, where sub-surface conditions were especially complex. 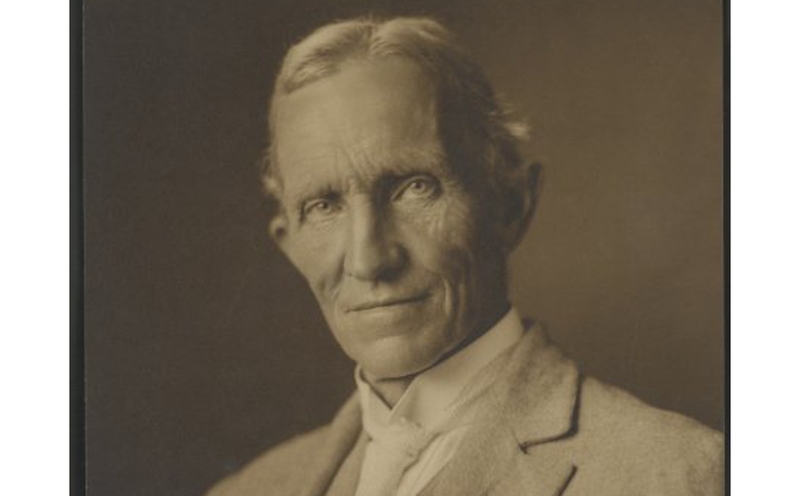 Australian Tannatt Edgeworth David, Professor of Geology at Sydney University and discoverer of the Hunter Valley coal field, was instrumental in planning the system of mines in this battle in 1917. It culminated in the most lethal, non-nuclear explosion ever, killing 10,000 people and reportedly heard as far away as Dublin. As often seems to be the case, a new style of warfare resulted in a new style of weapon. In the Great War it is the emergence of mechanised weapons of mass destruction – tanks, ships and aircraft – that are of most importance to our story. Although at the beginning of the War the British Expeditionary Force had made swift advances using cavalry, the inadequacy of horse-borne transportation and militarisation was quickly recognised and the rapid development of the internal combustion engine as the warhorse of choice followed. 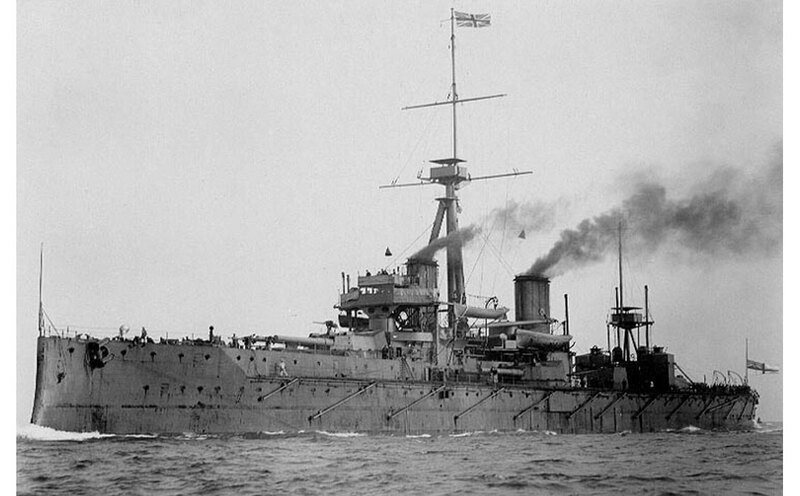 In 1911 the Royal Navy had begun converting their ships from coal to oil; in 1916 the first tanks entered the battlefield of the Somme; and the Royal Flying Corps that had formed at the beginning of the War pioneered the way for the formation of the Royal Air Force. Prior to 1914, British and German companies had negotiated joint participation in the Turkish Petroleum Company, which held prospecting rights in Mesopotamia – the war ended that partnership. But a growing importance was placed on oil, and the British government, already controlling oil in Persia via the Anglo-Persian Oil Company, recognised that oil had become absolutely vital and that resources in Mesopotamia would be crucial in the future. Security of the oil resource became a key focus in the war effort. The Allies had a superior position with regards to access to oil resources and by the end of the War this was beginning to tell. An attempt to capture Allied-controlled oil fields in Baku failed and the Allies were able to rely on a good supply of oil to support the war effort. The increasing use of mechanised war machines had great significance for the development of the oil industry and the professionalisation of the geological disciplines involved in finding and producing the life blood of the modern army. At the beginning of the war the US government had formed the National Petroleum War Service Committee (NPWSC) to ensure adequate oil supplies. The mobilisation effort saw a study of the oil industry’s ability to meet the growing demands generated by the Allies’ reliance on American oil. The oil companies had no experience of working together but agreed to collaborate with the government to ensure that vital petroleum supplies were efficiently deployed to the armed forces. After the war, momentum began to form for a national association to represent the entire industry in the post-war years. In 1919 the NPWSC was reborn as the American Petroleum Institute (API). The annals of history tend to be populated with the famous and great but it is perhaps the quiet work of the men and women of the Great War and the years immediately following that really defines the industry we work in today. Before the war there was no reliable information about the production, refining and transportation of petroleum products; by the time it ended the institutions and structures of the modern industry were well established. It is an eternal truth that ‘necessity is the mother of all invention’. It was the changing face of warfare to an increasingly mechanised type of conflict that led to the invention of the modern oil and gas industry as we know it today. I am greatly indebted to Bruce Winslade for discussions, assistance and contribution to this article. The video is reproduced by kind permission of Joshua Olsen, a graduate geologist with a keen interest in military history, including participating in World War II historical re-enactments. Joshua is currently studying graduate classes at Northern Illinois University (NIU), where along with colleague Dr. Melissa Lenczewski - a professor at NIU and a fellow war historian - Joshua has been putting together a research project based on the causes and effects of R.A.F. Penrose Jr.'s 'What a Geologist can do in War'. Joshua gave a talk on this project at the GSA 2014 convention in Vancouver, BC. An article is also in the works but is yet to be published, in 2015. 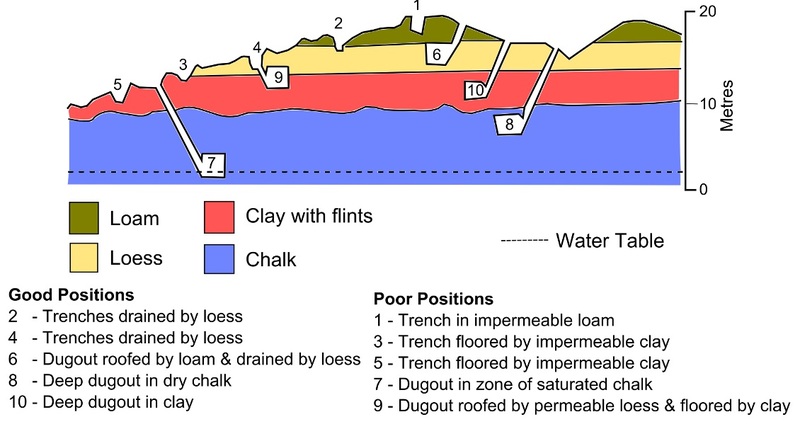 Geology and Warfare: Examples of the Influence of Terrain and Geologists on Military Operations. Edited by Edward P. F. Rose, and C. Paul Nathanail. Geological Society of London, 2000. Officers with maps... Ted Rose. Geoscientist 22.03 April, 2012. War Geology. David Bressan, May 11, 2011. Intensely secretive, for more than half a century Gulbenkian personally controlled five per cent of Middle East oil production and shaped the firms we know as Shell and Total. Nearly declared dead by its owners only eight years after discovery, new technologies introduced over the past century allowed Southern California’s Belridge Field to grow into a prolific oil producer. Now, 101 years since that discovery, innovative insights into its varied reservoirs promise to keep Belridge productive well into the 21st century.